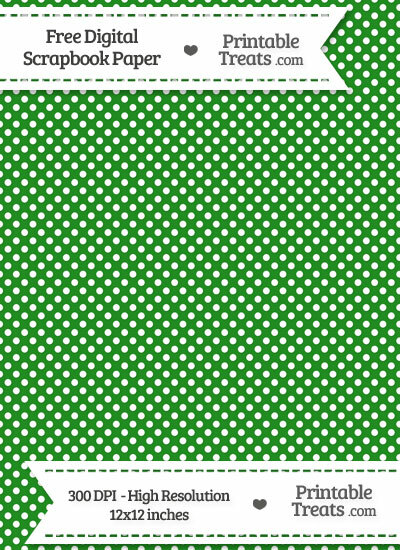 Get this super cute free forest green raised mini polka dots digital paper you can use for your scrapbooking, card-making, sign-making, and other wonderful crafts. This awesome raised mini polka dots digital scrapbook paper is decorated with a pattern of polka dots that have a drop shadow on top of a forest green background. The digital file is high resolution at 300 DPI and is 12×12 inches. You can use it in your favorite image editing program or print it out to make a physical craft. Love this pattern? Click here to get a set of 99 papers in one download file! Love this color? Click here to get a set of 26 patterned papers of this color in one download file! If you would like to share the digital paper with a friend, please send them directly to this page so that they can download a copy for themselves. Please do not link directly to the download file.